Omega 3 Fish Oil and Depression! Natural Treatments for the Depressed! 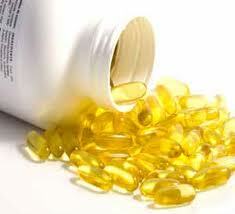 Omega 3 Fish Oil and Depression! Natural Treatments for the Depressed! Medical man simplistically assumes that every single depressed man and woman on earth suffers from an imbalance in brain chemistry. And you better believe that he's got the drugs on hand to take care of the situation. An analysis done by British researchers published in Feb 2008, found that most of the anti depressant medications aren't very effective at all. Unfortunately this study hasn't slowed down the prescription madness even a little bit. You see, medical man likes to pinpoint a problem, isolate it, and drug it into submission. The problem is, human beings are extremely complex organisms, so cookie cutter treatments like this are doomed to failure from the start. I do believe that deficiencies or excesses of neurotransmitters, such as serotonin, do play a part in depression in some people. But even under these circumstances, drugs usually aren't the answer. The answer lays in bringing your body back into harmony with nature. Up until very recently, man had never tasted concentrated oil from a soy bean. He'd never tasted it from corn, safflower, or cotton seed either. The problem with all these liquid oils is, they are extremely high in omega 6 fats, and in the modern world man is consuming way too many of them. Prior to industrialized food production, we consumed equal amounts of omega 3 and omega 6 fats. In recent times this ratio has been radically twisted, and the number is now closer to 20 to 1 in favor of the pro-inflammatory omega 6 fats. This huge shift is the driving force behind numerous health problems, including arthritis, allergies, heart disease, cancer, stroke, and you guessed it, depression! Numerous studies have found that high levels of omega 6 fats in the brain lead to depression. Other studies have confirmed that supplementing with fish oil (an omega 3 fat) is very effective at reducing depression symptoms in humans. A few smaller studies have even suggested that omega 3 fatty acids can help smooth out the mood swings of those suffering from bipolar disorder. Many paleo foods are high in omega 3's including cold water fish such as sardines, salmon, mackerel, cod, bluefish, and herring. Other sources include grass-fed beef, walnuts, and pasture raised dairy. Foods high in omega 6 fats include margarine, grains, vegetable oils, shortening, salad dressing, mayonnaise, and most packaged, processed, and highly refined foods. If you'd like to put your depression in park for good, limit these foods, and focus on increasing the amount of omega 3 fats in your diet. Exercise gets the feel good chemicals in the brain percolating. As soon as you begin your routine, neurotransmitters begin to fire off, leading to an immediate lift in mood, energy, and confidence. As you dig deeper into your session, endogenous opioids are released from your pituitary into your spinal chord and brain. These endorphins lock onto the opoid receptors in your body, which encourages the system to release dopamine into your blood stream. And this dopamine rush makes you feel good! As a matter of fact, this rush mirrors the buzz that leads to opium, cocaine, and heroine addiction. So in reality opium, cocaine, and heroine addicts are really dopamine addicts. The beauty of exercise is, it gives you this dopamine buzz, without the addiction. Conversely, low dopamine levels are caused by boring surroundings, lack of exercise, sloth, and listless behavior. A day on the couch watching TV means low dopamine, no endorphin production, and quick slide toward depression. So, do yourself a favor and get outside and exercise on a daily basis. Make it a point to get a solid 7 1/2 to 8 hours of sleep nightly. Avoid bright lights and close contact with computer screens and TV sets late in the evening. As bedtime approaches, you want to shift your clock into nocturnal mode, so your body throws all the hormonal switches needed to shut down your system for a good nights sleep. The delicate dance that takes place between serotonin, melatonin, and all your other neurotransmitters is highly dependent on this sleep, so make it a high priority. I typically turn off all electronics in the early evening, and spend my last few hours socializing with my wife, and reading under low light conditions. When you get out in the sun, your body produces approximately 10,000 IU's of vitamin D every 20 minutes. 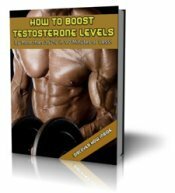 Because several recent studies have found that many suffering depression are deficient in this very important prohormone. 441 depressed patients had their vitamin D levels tested during a clinical depression study. At the beginning of the trial it was found that participants with the lowest vitamin D levels had the highest levels of depression. The group of 441 was then split into three separate parts. One portion received 20,000 IUs of vitamin D per week. The second group received 40,000 IUs of D per week, while the final group received a placebo containing no vitamin D at all. At the end of the study, both groups receiving the high-dose vitamin D showed a significant improvement in their depressive symptoms. The controls who were given the placebo, received no such benefits. And this is just one study! If we had the space and the time, I could list half a dozen more. Keep in mind, this trial used vitamin D supplements. I recommend you make it a point to get your vitamin D from sunlight, exactly the way mother nature intended. Control caffeine, sugar, and refined carbohydrate consumption. These substances cause an immediate adrenaline fueled rush, that's virtually impossible to sustain. A study comparing the sugar response in children showed that adrenaline levels increased 10 fold after sugar consumption, leading to the inevitable crash several hours later. Caffeine rapidly injects adrenaline into your system, causing a temporary energy boost that eventually fades into fatigue, irritability, and depression. Chase the buzz in an attempt to counteract these effects, and the negative feeling only come on stronger. So from here on out, pass on the caffeine, the sugar and the refined carbs! Make it a point to get your highs and your energy from exercise, sunlight exposure, clean foods, and restful, deep sleep. Do so, and you'll attack your depression symptoms at the source, and avoid all the side effects brought on by recreational drug use and prescription medications. Consult with a medical professional before acting on any of the advice found on this website. My statements and opinions have not been evaluated by the Food and Drug Administration. Supplements recommended on this site are not intended to diagnose, treat, cure or prevent any disease.